What a glorious contrast to recent weeks of doom and gloom was Andy Murray’s second Wimbledon triumph! And it was a vintage weekend for British tennis, with Jordanne Whiley winning the ladies’ wheelchair doubles and Gordon Reid, triumphing in both the wheelchair singles and doubles (with Alfie Hewett), not to mention Heather Watson’s success in the mixed doubles. 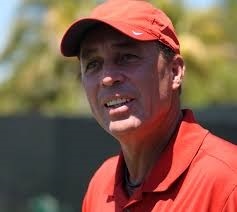 Perhaps the most fascinating aspect of Murray’s victory was his relationship with his enigmatic coach, eight-times Grand Slam title winner Ivan Lendl. Without Lendl in his corner, Murray’s dedication and hard work have made him the second-best tennis player in the world, and arguably the best Britain has produced; reunited with Lendl, his tennis reached a new level in the 2016 Wimbledon Final. The simple truth is that having someone alongside you who understands what it takes to be even better, someone who has “been there and done that”, can and almost certainly will enable you (and your organisation) to achieve better results. by being both part of your team and apart from it. If you’d like to explore how coaching could help you develop better strategy, more effective implementation and more engaged, productive people you can find out more about my POSITIVE Leadership programme here.